UC Today caught up with Logitech to get their view on the current state of the video conferencing marketplace, the rapid growth of the huddle room market and a quick recap on what Logitech have been doing this year. Logitech have seen 100% growth each quarter this year in its huddle room devices. This is largely due to how fast the huddle room space has been developing. With recognition from small to very large enterprises requiring scalable solution for their meeting rooms, not just their business size, Logitech’s wide range of solutions has slotted into this new market perfectly. “Exactly what the analysts predicted has come true, and the huddle room market is still growing”. Anne Marie Ginn, EMEA Head of Video Collaboration at Logitech was commenting on the huge success that Logitech has experienced throughout 2018. Anne’s optimism and passion was obvious throughout as we discussed Logitech’s milestones throughout the year. Focus was on the success of the Meetup huddle room product. The MeetUp huddle room device is a soundbar-shaped system that includes a set of high-powered speakers and a 4K ultra-HD camera with a 120-degree field of view designed to accurately capture all attendees in a small conference space. “We’re really driving to enhance the video first experience”. Another key element in Logitech’s success this year has been thanks to the facial recognition integration into Windows Hello. 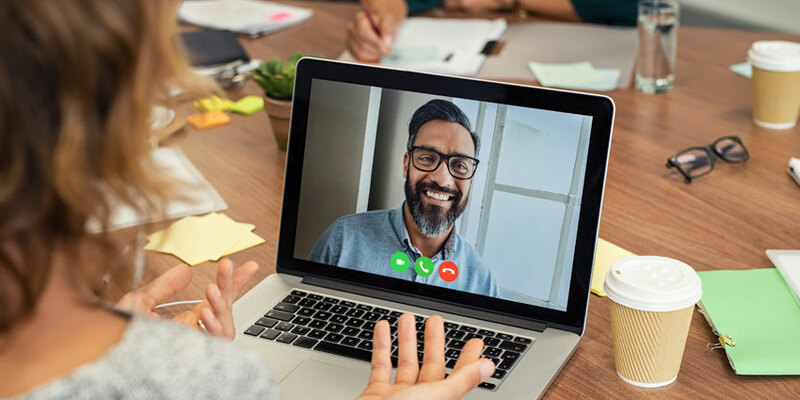 The idea of joining a video meeting with your face is revolutionary, but not more than we can expect with the success of biometrics and facial recognition. “Passwords can be hacked. Faces can’t”. Anne went onto explain the reasoning behind investing in facial recognition went deeper than user experience. The security element of hacking and passwords being leaked is rife in 2018, and a real concern for small businesses and enterprises alike. Logitech announced their new product, Rally, in June and it is set to be generally available in late November / early December. Logitech Rally delivers studio-quality video, unmatched vocal clarity, and RightSense automation for better, more natural meetings with most software-based video conferencing services. Finished in matte black with slate grey metal accents, Rally components deliver elite performance and exceptional versatility with sleek style. The RightSense software package is made up of three components. Right Light will optimise ambient lighting. Right Sound comes with noise cancellation and active speaking technology to reduce participants speaking over each other. Most notably, Right Sight comes with auto zoom, centring on the speaker or group per room, reacting to changes in the room setup every 20 seconds. So, if someone leaves the meeting, you aren’t staring at an empty seat. You can catch up with Logitech at the digital banking conference, Money Live. Money Live takes place in Bishopsgate, London on 26 – 27 November 2018. Headline speakers include Kirsty, Rutter, Managing Director and CIO at Barclays Bank and focusses on changing digital banking for the better. Logitech are gold sponsors of the event and will be located in the coffee area to showcase their latest products while you get your caffeine fix.